I recently read an article in the El Dorado Springs Sun that spoke about the trend of business owners and CEOs of companies large and small hiring a ghostwriter out of the sheer purpose of creating a business book for use in marketing efforts. The article hit on many major points that I normally speak about to business clients of my own who have thrown around the idea of writing a book, and I thought that this would be an appropriate time to address how to hire a business ghostwriter. Attracting new customers or appealing to existing clients. Raising a public profile in order to be invited to participate in TV engagements or radio shows. For use during professional speaking opportunities or in a seminar. To generate increased media interest or promote a business. Ultimately, when a ghostwritten business book is used in any of the aforementioned ways, you have a much better chance at succeeding in your endeavors, as opposed to simply believing you are going to cash in through a traditional publishing agreement. What type of book writing experience does the ghostwriter have? Many ghostwriters list this service on their website or in their marketing materials, but when you actually get down to business, you might realize that they have never written a complete manuscript before. Understand that not every ghostwriter has it in them to do this. It is a massive undertaking and you need to make sure you are working with someone who has experience crafting an outline, gathering information and meeting your word count, while also providing high quality writing and capturing your voice. 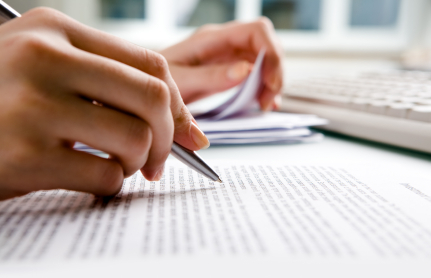 Who can provide a testimonial for the ghostwriter’s experience? Admittedly, ghostwriting is a highly confidential type of business, but anyone who has experience working with high-level individuals probably has a clause in their contract allowing for a referral agreement if the project is completed per the requirements. Does the ghostwriter retain any rights to the finished product? If they do, it’s a no-go. A ghostwriter worth their salt understands that the end product is yours. Is the ghostwriter available to begin immediately or are they currently committed? What does their current workload look like? Ask this question to make sure the individual is not so overloaded that they can’t concentrate on your work. If they are vague about current commitments or accept a deposit from you without providing you with a timetable for delivery, know that something is up. You want to make sure the individual is able to meet your deadlines. Honest ghostwriters who are currently in the middle of a project will tell you so right off the get-go. Does the ghostwriter have any other experience in the publishing world? This could help significantly, especially if you have no understanding of the traditional or self-publishing process. However, be leery of any person who claims blindly that they can get you published. Relationships do matter in the publishing industry, but publishers and agents are focused on marketability measures associated with a book or author and do not hand out contracts on a whim. There can be great rewards to writing or contracting a ghostwriter to craft a business book that highlights your experience or your company’s story, but it is important that you do your research and due diligence before throwing money at the project. Make sure you are committed to the idea, are in the right mindset to engage in the project and have the correct expectations on what you could get out of writing a business book. For more information on the ghostwriting process or to discuss the potential your idea might have, contact Grammar Chic, Inc. today by calling 803-831-7444 or visiting www.grammarchic.net. I came across this post on http://grammarchicblog. these ideas. I’m keen to read more stuff about what you’re talking about. to talk about this subject here on your web page.